There are many varieties of French beef stew. 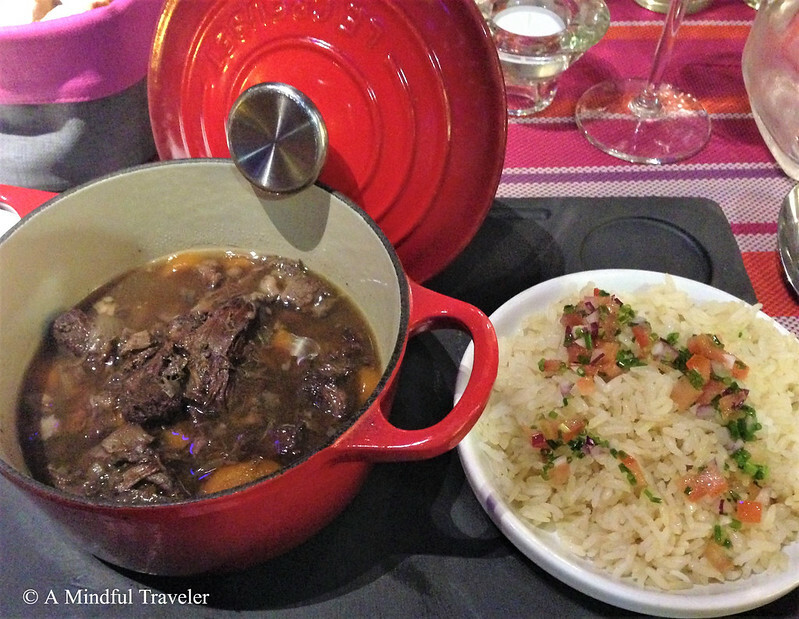 While in Saint Remy de Provence, one of the local specialty dishes was “Gardiane de Taureau”. 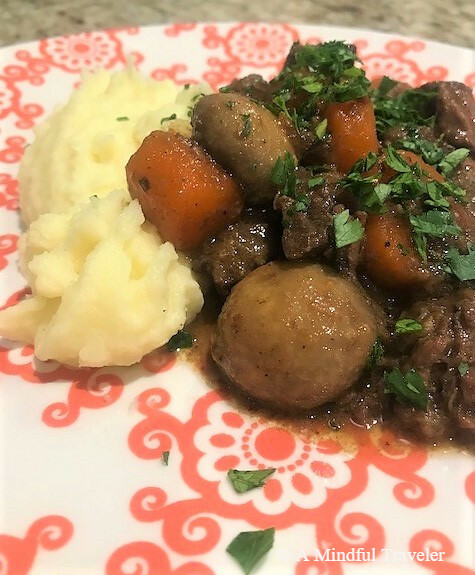 This traditional Provencal bull beef stew, a type of daube, is also known as Camargue’s beef stew. A stew originating from the Camargue region of France, south of Arles, famous for its black bulls. 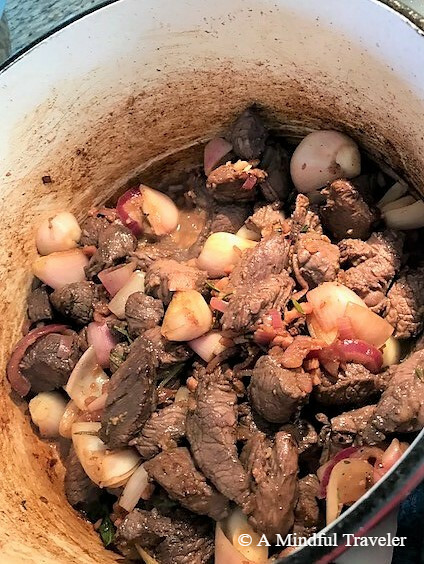 Bull beef is much tougher than cow meat, so I have used cow meat for this recipe. This stew is a perfect remedy for those seeking warmth in Winter or a treat for a lazy weekend. Entice the soul with this deliciously comforting Provencal Beef Stew. The day before, trim the meat and cut into cubes. 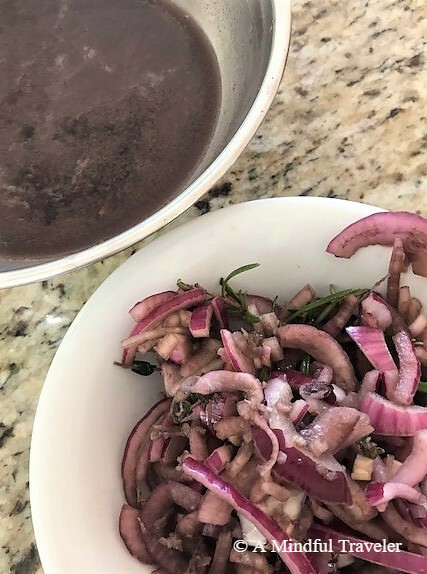 Place in a bowl with sliced onion, 2 of the crushed garlic cloves, 1 sprig thyme, and 1 sprig rosemary. Cover with the red wine and 1 tablespoon of the olive oil. Let sit overnight in the fridge. 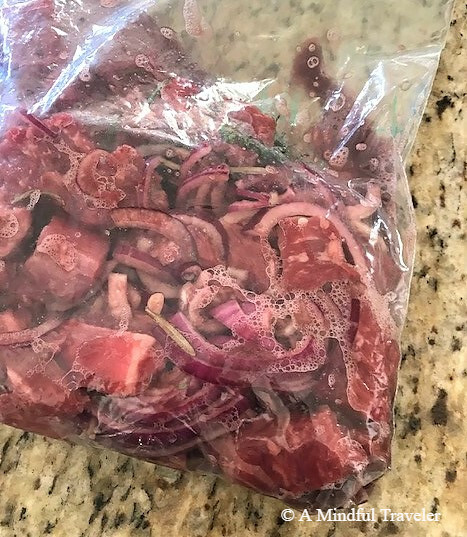 The day of cooking, lift the meat from the marinade, pat dry with a kitchen towel and season with salt and pepper. Keep aside. Next, lift the onions and herbs and separate from the liquid, reserving both for later. Preheat the oven to 140˚C. Heat 1 tablespoon of oil in an ovenproof saucepan or casserole pan. When hot, add the butter and then the meat and brown (you may need to cook meat in two batches if so use ½ the oil and butter for each portion). Transfer meat to a large plate and set aside when brown. Add the bacon and fry adding more oil if necessary. Remove bacon when crisp and set aside. Add 1 tablespoon oil and fry the reserved onions, garlic and herb mix, tarragon leaves and the extra 2 cloves garlic, for a few minutes. Deglaze the pan with the balsamic vinegar, removing the brown bits from the bottom of the pan, for about 5 minutes. Add the bacon and beef to the pan and stir to combine. Sprinkle with the flour and stir well. Add the reserved wine, beef broth, remaining herbs, bay leaf, and shallots. Stir well and then cover with lid and transfer to oven. Cook in the oven for 1½ hours, stirring halfway. After 1 ½ hours remove the pot from the oven and add the carrots and mushrooms. Stir well, cover and place back in the oven for about an hour more, or until the vegetables are cooked, the broth is thickened, and the meat is tender. If the liquid consistency is too thick, add more stock or water to loosen up the mixture. Taste and adjust seasoning if necessary. Serve with freshly chopped parsley, accompanied by either mashed potato or crusty fresh bread. In the heart of Saint Remy de Provence enjoy simple and homemade specialties all made from fresh and seasonal produce. Damn this looks so good, such. good idea when you want to host like a proper dinner party! Great comfort food for the colder weather I think! This is mouthwatering. Love the photos. Thanks for describing how you let it set in the fridge. Hugs. This looks delicious and the recipe sounds very easy! I like your Le Creuset pot too, aren’t they great for stews! Thanks for sharing the recipe. Winter is coming, this is perfect! I do the same, use my pot a lot in winter! I’m doing well… Thank You! This looks delicious!! Definitely one to add to the list now that it’s getting colder and the nights are drawing in here in the UK! It might also work well in a slow cooker? My favourite season of the year! Can’t wait for those glorious sunny days. Well definitely next time then. 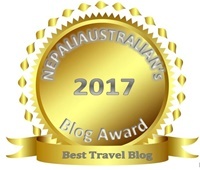 Do you have family in Newcastle? Yes, my partner’s from there, so we try to get back to see his family as often as we can! Sounds like Saturday arvo in winter, aromas wafting through the house.